A tune-up is a preventive maintenance procedure that makes an engine run better. There’s no true definition of what exactly a tune-up should include. Over the years the term tune-up has changed a great deal as many procedures are no longer necessary with modern automotive technology. Prior to the OBD system, car owners would replace parts to bring the ignition and fuel systems up to specs for maximum performance and efficiency, in modern cars the air-fuel mixture and Ignition timing is fixed and are controlled by the engine computer. The modern tune-up is re the manufacturer service interval maintenance, however, the quote on quote tune-up involves replacing the spark plugs around 100,000 miles and replacing the air filter every 30,000 miles and fuel filter based on manufacturer recommendations. 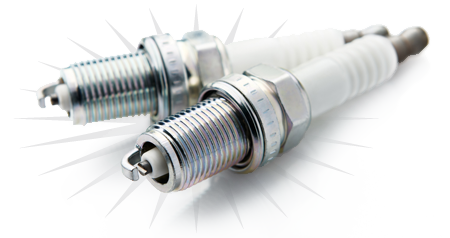 A simple spark plugs replacement may help the engine start easier, improve fuel economy, lower emissions and restore lost power. Replacing a clogged air filter can improve acceleration 6% to 11%. 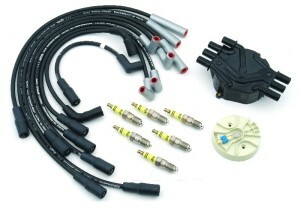 A bad oxygen sensor can give engine computers false readings and reduce fuel economy as much as 40%. A clogged Fuel Filter can damage the fuel pump. Scan for fault codes to verify no fault codes are present, or to retrieve any codes that may be present. Visually inspect the fuel system components. Visually inspect of fuel filter to make sure it’s clean and clog-free. Visually inspect of fuel injectors to make sure they are free of deposits. Check Battery Voltage and the Alternators Charging Voltage. Check All fluids; oil, coolant, automatic transmission fluid, power steering fluid and brake fluid. Check hoses and belts should be visually inspected. Check Vacuum hoses to detect air leaks as well as exhaust restrictions. 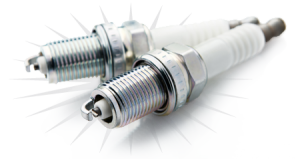 Check spark plug performance and Spark Plug Wires. Check ignition timing and idle even if computer controlled to detect possible ISC motor problems. Check the air filter and cabin air filter. Advanced Auto Repair handles all of your North Attleborough tune-up needs. Having your vehicle serviced and inspected periodically is a good way to extend its life and keep it operating efficiently. Service requirements vary from car to car, and can also vary based on mileage and age. You can find the vehicle manufacturer recommended service interval schedule in the vehicle owner’s manual, For more information about engine tune-ups, call or stop in our North Attleboro car care center.